Yes. luxuryhotelbreaks is part of the OPL Leisure Group, a well established company which has been trading since 2003. If you pay using a UK registered credit or debit card you are also protected by the Consumer Credit Act and the Chargeback system, meaning that if anything happens to a company you purchase from, your bank will refund you in full. Date changes can generally be done free of charge up to seven days before arrival, unless otherwise stated in your offer details. Please email reservations@luxuryhotelbreaks.com or call 0333 2125 594. That's fine. Our reservations team are on hand to help 8.30 a.m. - 10.00 pm Mon-Fri, and 10.00-6.00 weekends and bank holidays. 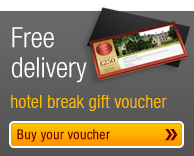 Please call us on 0333 2125 594 or email reservations@luxuryhotelbreaks.com.